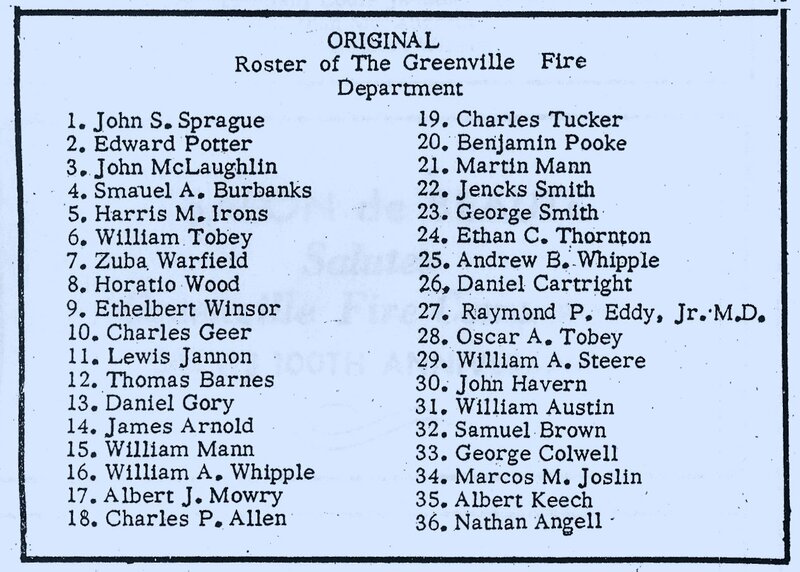 Origin Of The Greenville Fire Co. 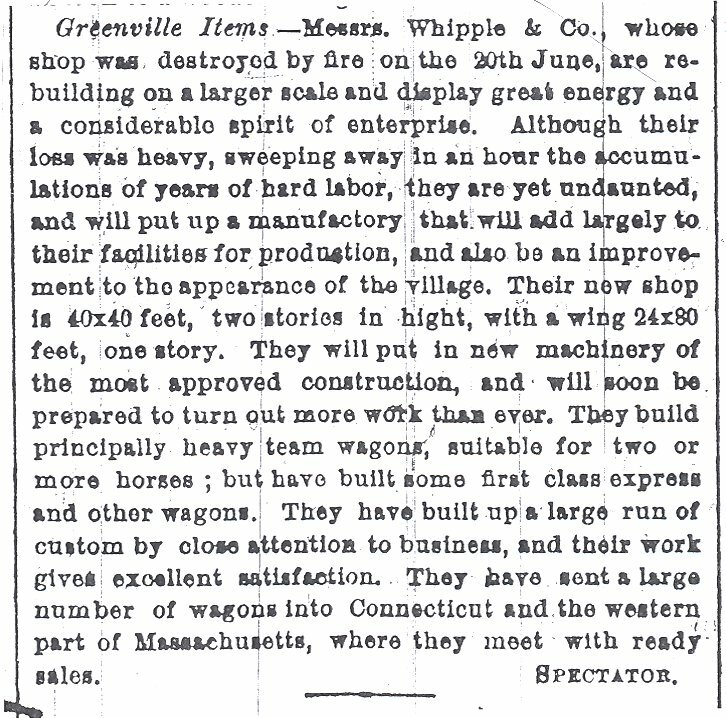 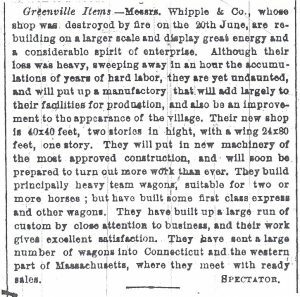 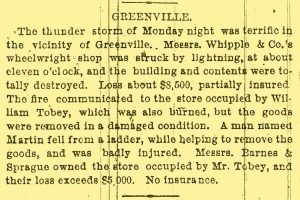 The origin of the Greenville Fire Company can be traced to a devastating fire which occurred on the night of June 20, 1870, when lightning struck Whipple & Co. Wheelwright shop in the heart of the village. 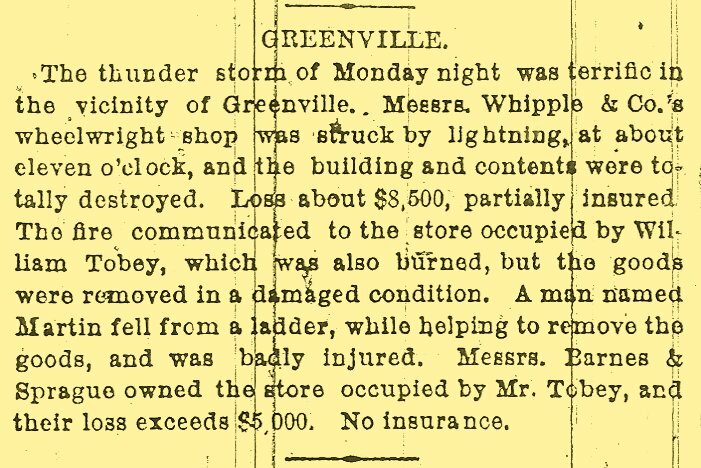 Volunteers rushed to the scene and formed bucket brigades, but the flames had gotten a good head start and before long the building was consumed by flames, which then spread to an adjacent building and it too was lost. 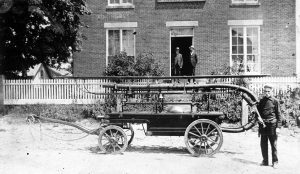 During the firefighting operation, one man was seriously hurt when he fell from a ladder. 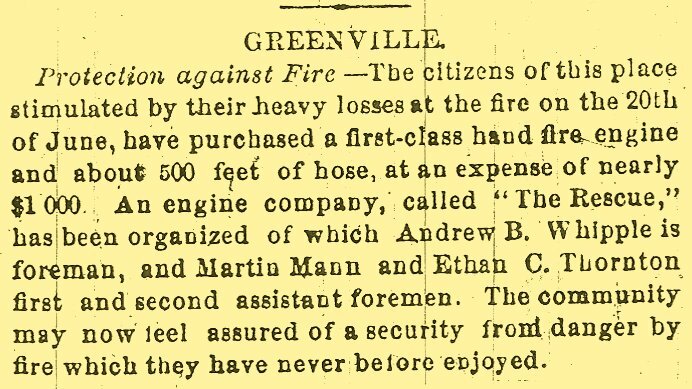 The Rescue Fire Engine Company eventually came to be known as the Greenville Fire Company, which later became part of the Smithfield Fire Department. 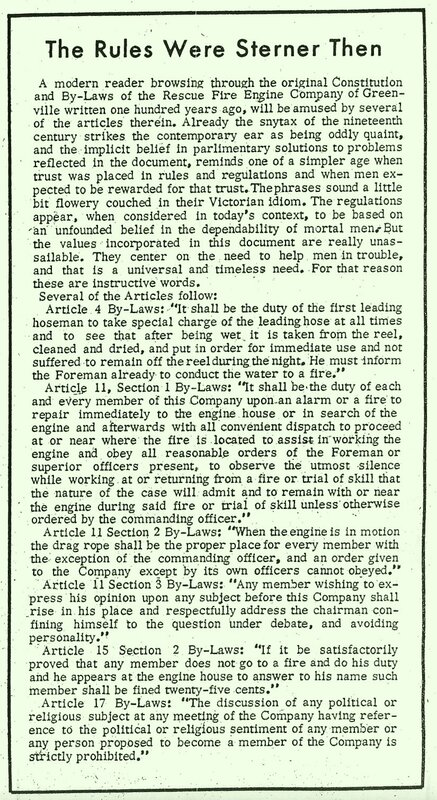 Smithfield’s first fire engine, the Water Witch. 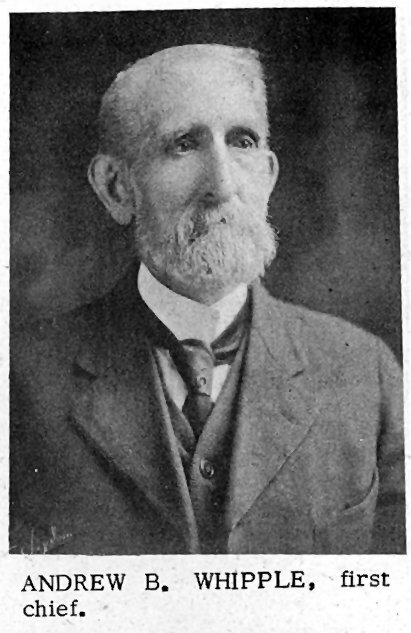 Chief Andrew Whipple in photo. 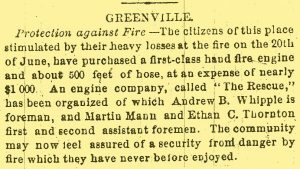 Rules & Regulations of Greenville’s First Fire. 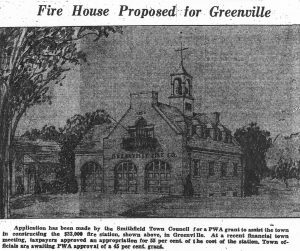 Co.
Greenville’s original fire station was located in the basement of the National Exchange Bank in Greenville Center. 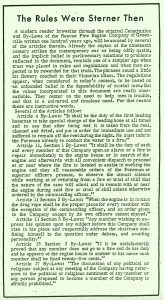 In 1939, the Fire Company moved into a new station about 200 feet away from the bank. 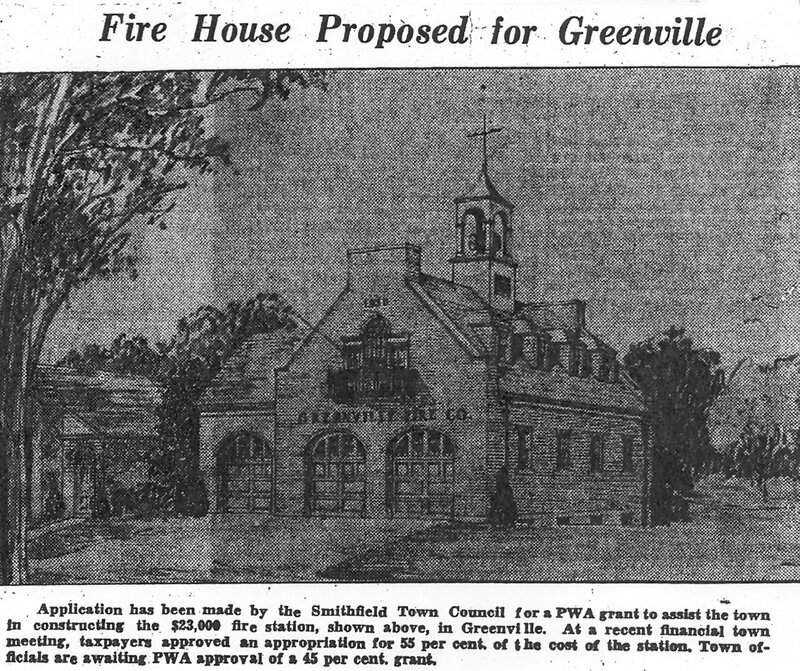 In the 1950s an addition was added to the east side of the building. 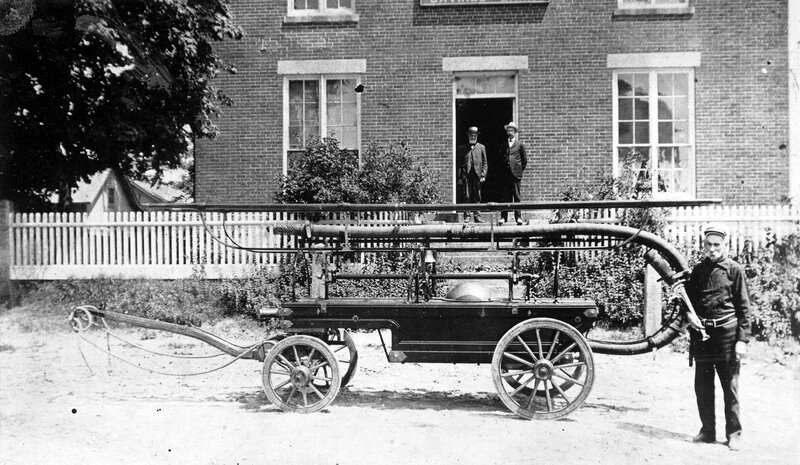 Today this building serves as Fire Headquarters for the Smithfield Fire Department. 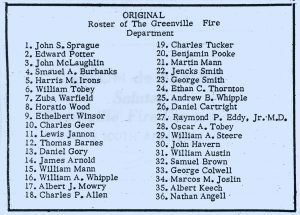 To see more historic photos of the Greenville Fire Company, look under the Historic Photos section of this website.